Experience the magical wonders of our lagoon at night. Our special lighting system reveals the wonders of being on the water at night in a way that simply cannot be experienced in the daylight hours. 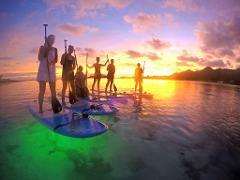 Learn to stand up paddle (SUP) and snorkel at some of the best snorkelling locations in Rarotonga at the same time. Turtles, giant trevelly, eels and giant clams are all out in our lagoon. Adventure and challenge all in one. Experience the electric blues and vastness of the ocean. The tour includes the coral gardens and a shipwreck just offshore, with amazing white sand oceans. 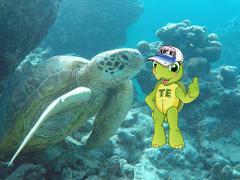 Swim with the turtles on this amazing adventure. Rarotonga is home to the Pacific Green and Hawksbill turtles. You get to swim with these majestic mariners in their own environment.